Djsinourhouse services all of the Sunshine Coast area from Caloundra to Noosa even Gympie if you would like us at your wedding . 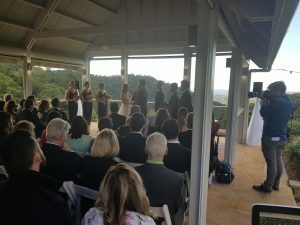 The Sunshine Coast Hinterland is also a regular for us, we do lots of wedding at Maleny Manor and also at Flaxton Gardens ,also at numerous other venues of which there are plenty up in the Hinterlands Tiffanys , Spicers and House Of Laurels to name but a few. There are so many wonderful venues at the sunshine coast the hardest decision will be which part of the coast do you want to get married in. Almost everywhere you want to be on the coast will offer breathtaking views and amazing service and we are proud to work with all the wonderful people that work at these venues. 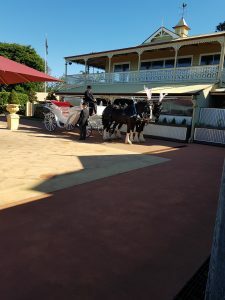 Click Sunshine Coast Wedding Venues to search for the amazing places on the sunshine coast. There is no extra charge for any travel to any part of the coast and we have the Lighting and Sound System to cover any venue. Your Ceremony Sound and Reception can all be catered for and anything else that you would like , just ask.